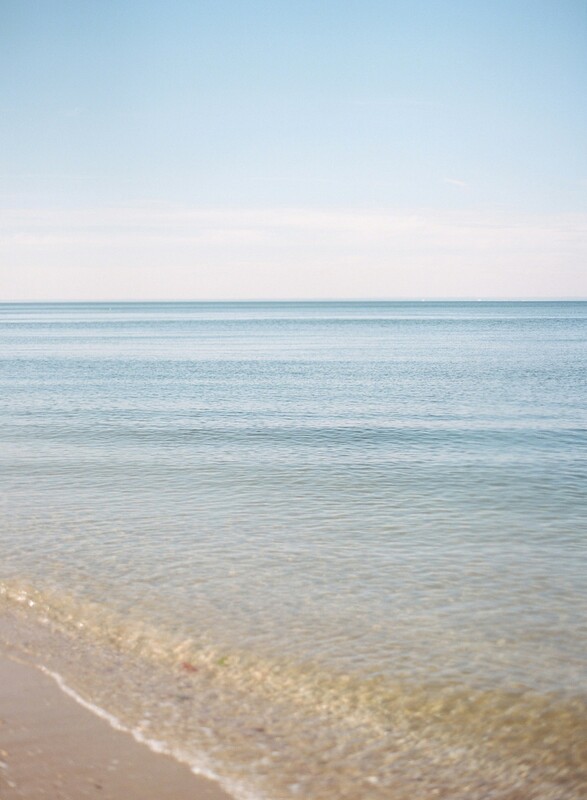 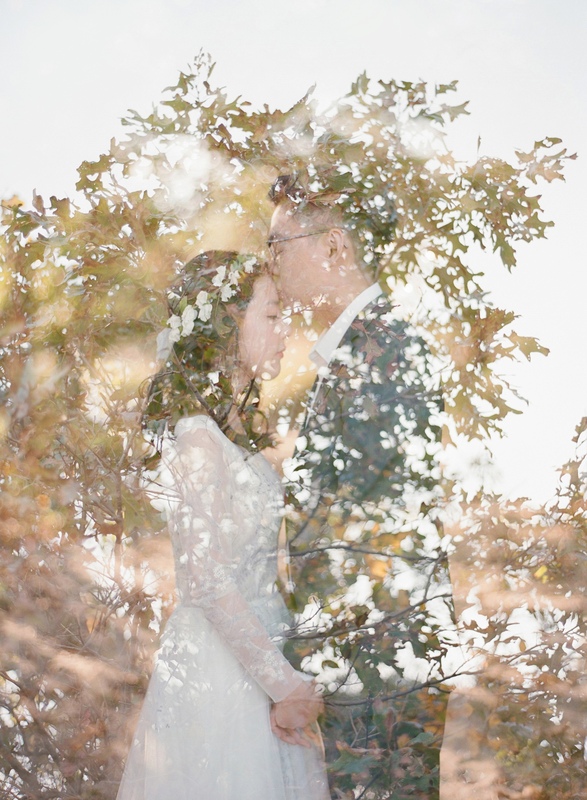 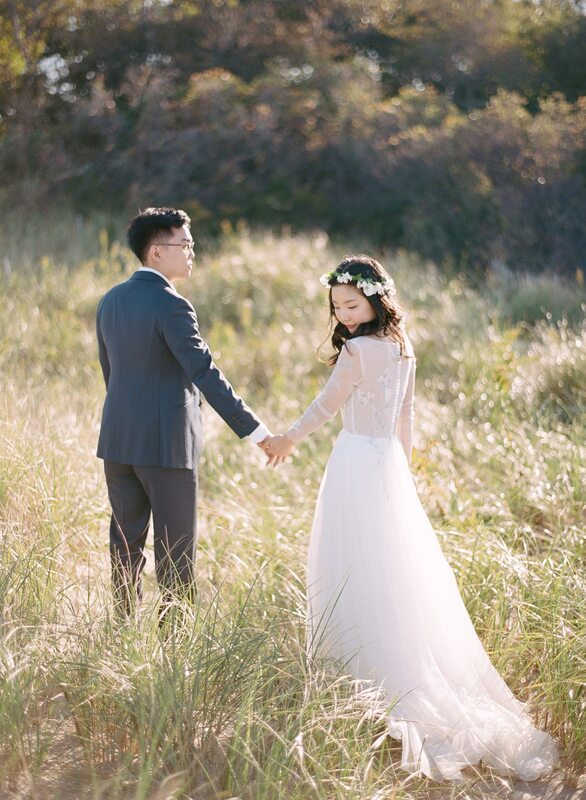 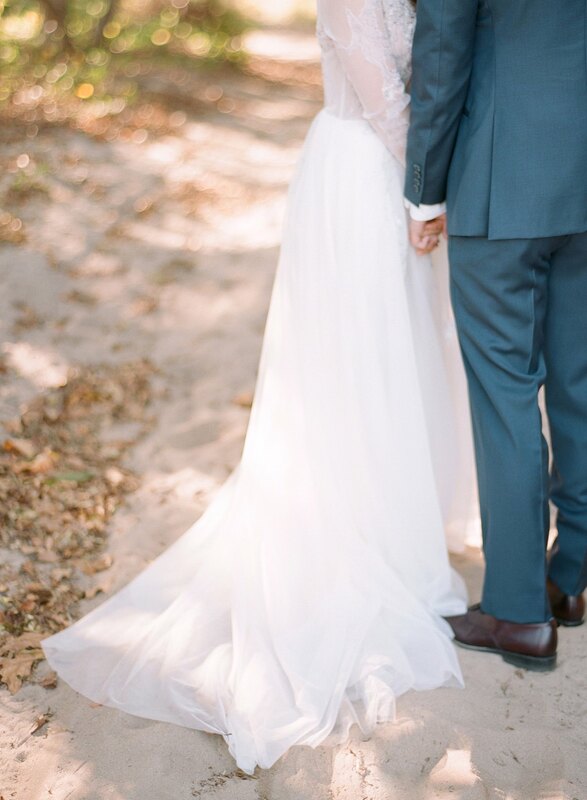 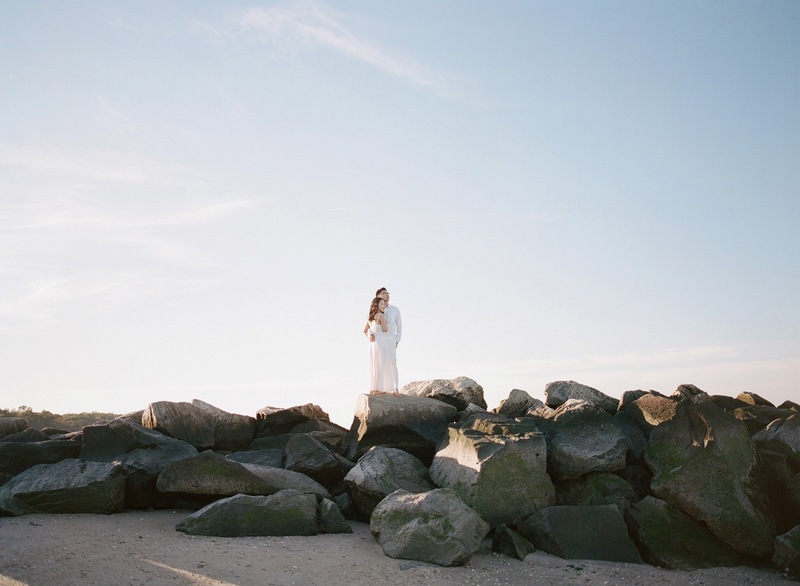 Tim and Pauline’s Long Island beach engagement was nothing short of magical! 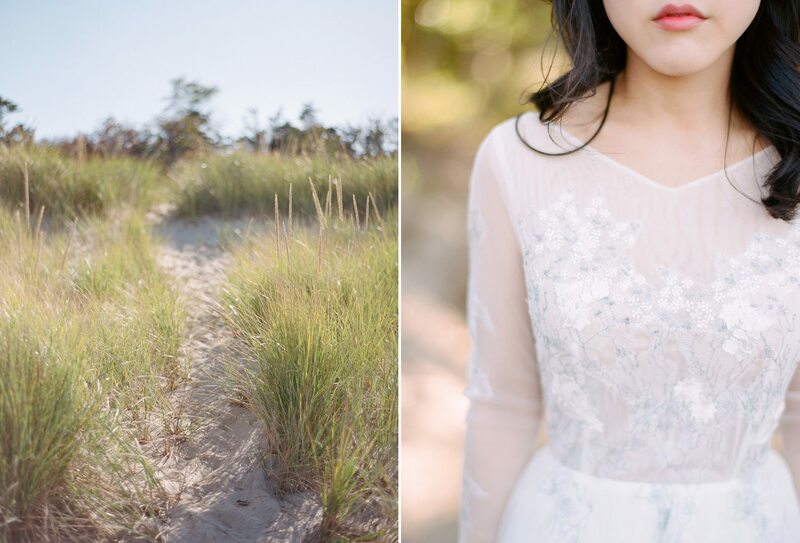 We met them on a gorgeous October day at a quiet beach on Long Island, and we had the best time exploring the beaches and dunes. 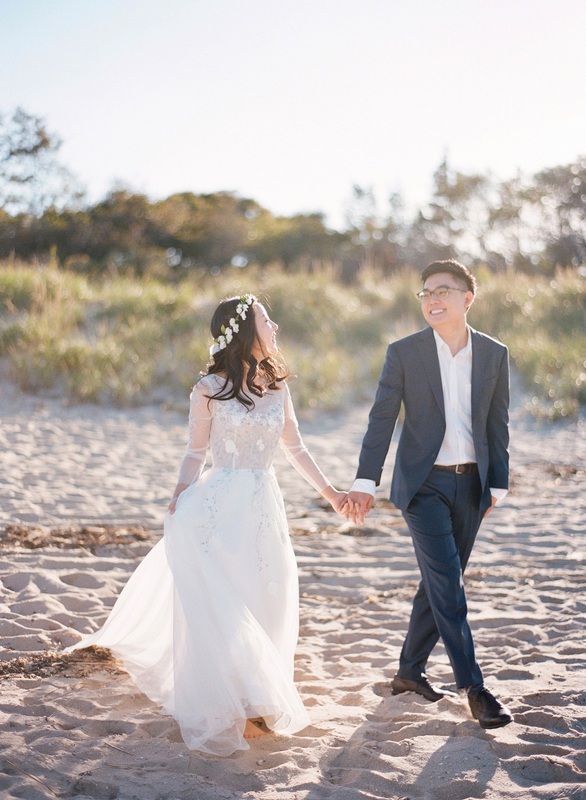 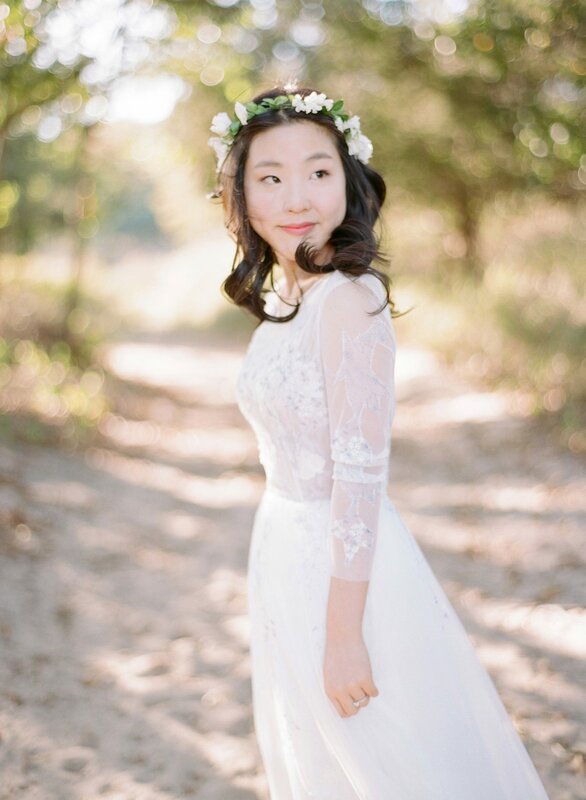 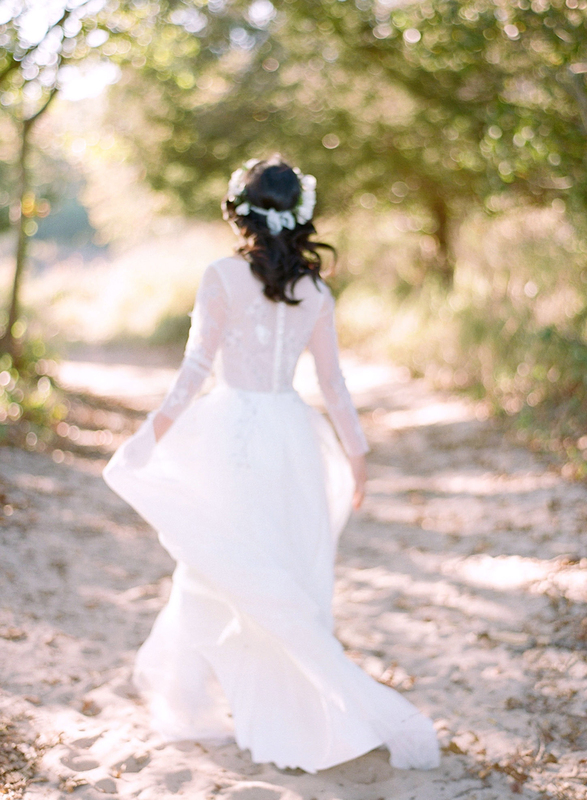 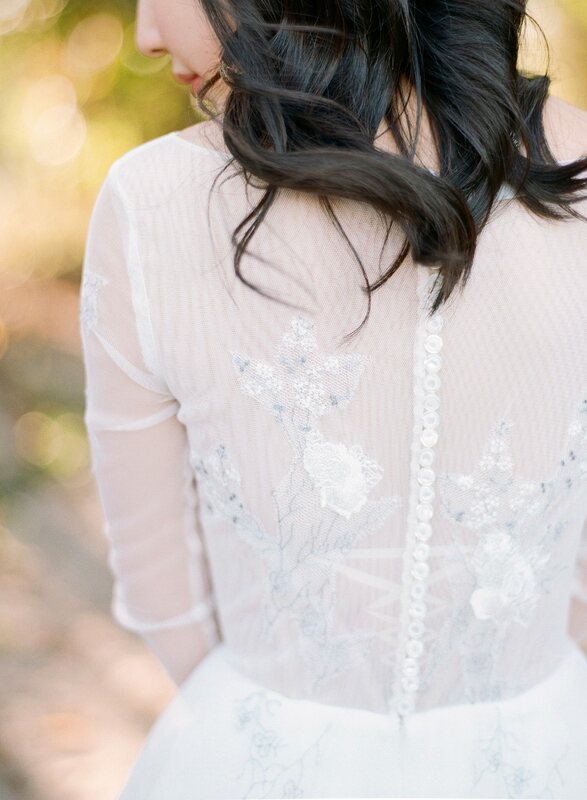 Pauline’s custom gown by Alex Veil was stunning in the afternoon sunshine, and the embroidery perfectly mimicked the seaside. 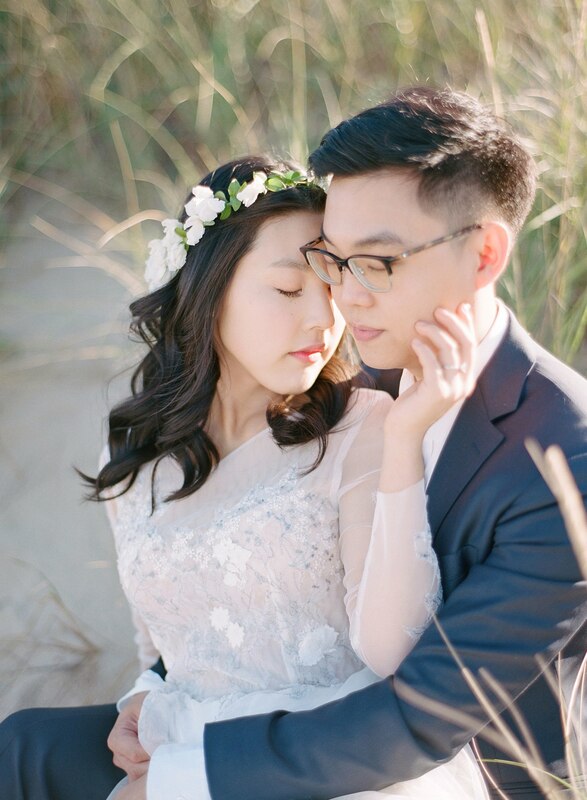 They ended the shoot in chic all white outfits and wrapped up in a cozy blanket to watch the setting sun. 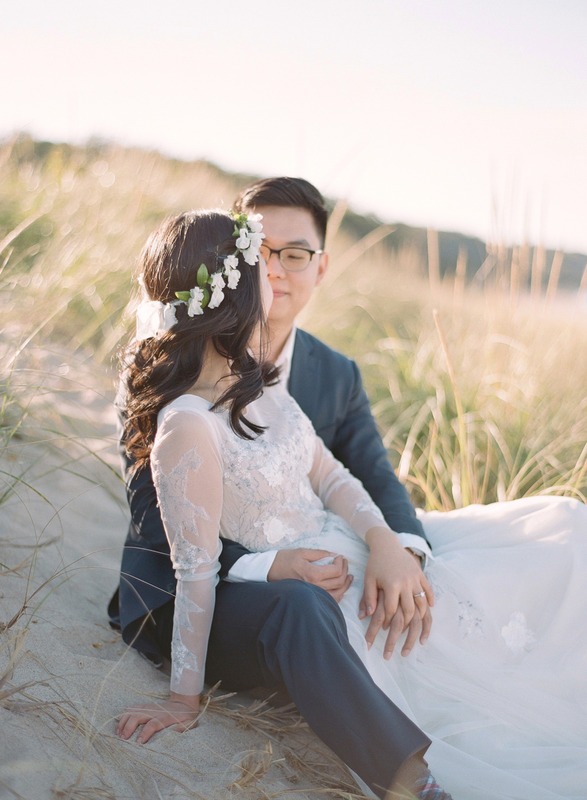 These two have the sweetest love story, and we cannot wait to capture their incredible wedding day next spring in New York!